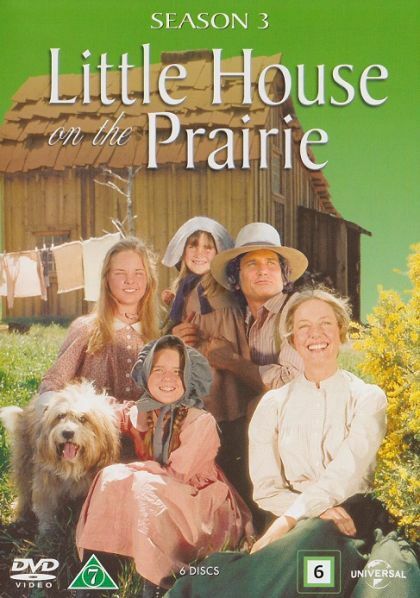 The long-running award-winning family drama was based upon the series of "Little House" autobiographical books, by Laura Ingalls Wilder. Television producer and NBC executive Ed Friendly became aware of the endearing and enduring story in the early 1970s. He asked Michael Landon to direct the pilot movie. He said he would if he could also play the father. The Time: beginning in the 1870s. The Place: the American frontier - more specifically (mostly) Walnut Grove / Plum Creek, Minnesota. Charles 'Pa' - a homesteader farmer/woodworker; demanding and compassionate. Caroline 'Ma' - sensitive and understanding wife and mother. Mary - pretty older sister (12 when the series began), who would become blind due to illness. Carrie - cute younger sister. Reverend Alden gets sick while collecting donations. Caleb Hodgekiss, an ex-convict, helps the Reverend by giving him a place to stay and volunteering to get the donations from Walnut Grove. Caleb poses as a friend of the Reverend so that he might get donations which he initially planned to keep for himself. Laura and her horse, Bunny, are picked to win at the horse race in town. Since Mrs. Oleson doesn't want Laura to win, she buys a great thoroughbred for Nellie to ride. Carrie, having tagged along on Laura and Mary's classroom assignment, falls down a mine shaft, providing an alcoholic ex-miner a chance at redemption. Laura's imagination runs wild on Halloween when she thinks she sees Nels cut off Mrs Oleson's head. Laura tells Nellie and Willie what she saw. Since the Oleson kids know that their mother is really out of town, they decide to scare Laura a little bit more. Everything is straightened up when Mrs. Oleson comes back. Charles' father, Lansford Ingalls, doesn't want to live after his wife dies. Charles brings his father to Walnut Grove to help him out. When Laura's horse gets hurt, she blames her grandpa. Laura is tricked into taking a ""one of a kind"" billy goat home with her. After Fred eats some of the Ingalls' crops, Laura is forced to get rid of the billy goat. Every person that Laura wanted to give the billy goat to resulted in a funny time. Laura finally decides to set him free in the wild. This episode is guaranteed to make you laugh! Rev. Alden's pleas to ""turn the other cheek"" is put to the test when a family of ruffians move to Walnut Grove and cause trouble. Pa decides to take Laura hunting with him. When Charles and Laura are getting settled down for the night, Laura trips over her dad's gun and sets it off. Charles is badly wounded. Laura runs to get help, but the only person she can find is a blind person, Sam. Since Sam just recently became blind, he knew his way around somewhat. After getting lost a few times, Sam and Laura finally find Mr. Edwards' home. Mr. Edwards gets a doctor, who saves Mr. Ingalls. Thanks to Laura, Sam learned that just because he was blind didn't mean he had to stay at home and do nothing. Mr. Edwards and Doc Baker help a nearby town with an epidemic case of mountain fever. When Mr. Edwards returns, a quarantine is placed on Walnut Grove. Alicia, Mr. Edward's adopted daughter comes down with the disease. Mr. Edwards tries to help his daughter. Laura, not knowing about the disease, goes to visit Alicia and Mr. Edwards. Laura ends up taking care of the both of them while they recover. The school children are allowed to put on plays in groups. Laura and Mary work with Ginny Clark, a student who has no father. Ginny wants her mother to date, but her mother, Della, doesn't believe she looks good enough. Ginny sells her long beautiful hair so she can buy her mother a new dress. Della at first accuses Ginny of stealing money until she sees that her daughter has cut her hair. Mary has an accident with a horse in the barn. When Mary starts to get worse, the Ingalls take her to a specialist. There they learn that Mary needs an immediate operation. Caroline stays with Mary who suddenly needs another operation. Charles leave and take on a high risk job to pay for the operation for Mary and Mr. Edwards goes with him. They take a job as a couple of Powder Monkeys making a tunnel for the railroad. But safety is far at the back of Charles' mind as he takes risks, refusing to stop even when a funeral of a Chinese worker takes place. This rush inevitably causes a cave-in where Charles and Harris are buried. Laura befriends a new girl, Anna, who stutters and has a hard time making friends. A jealous Nellie starts an elite club and although she invites Laura, she leaves Anna out. While at the Olesons, Laura steals one of Nellie's music boxes. As a prank to make him look foolish, the older boys of Walnut Grove school nominate the object of their practical jokes, gentle Elmer Dobkins, to run for class president against popular Mary Ingalls and wealthy Nellie Oleson. While Mary and Nellie wage their campaigns with promises of popcorn and gum balls, Mr. Dobkins witnesses his son being teased by the older boys and, when he finds out why Elmer was nominated, angrily orders him to pull out of the election. But, when election day comes and the race seems too close to call, a cruel act and children tired of being bullied decide the outcome. After having their crops destroyed, the Ingalls leave Walnut Grove to try their luck at striking it rich. After being at the gold mines for a while, the Ingalls realize that greed has been poisoning their minds. They leave to go home instead of looking for more gold. A heavy rain has been falling in Walnut Grove for two months, and it shows no signs of stopping. Farmers like Charles fear that their families will go hungry, and after reading an article in the newspaper, they take a 400-mile journey with their wives and children for a temporary new life in Gold Country. Things start out pretty well when Charles and Isaiah dig up some gold, but Laura and Carl get a completely different perspective from a new friend that they meet near their camp site. Meanwhile, Caroline opens and teaches a school in a tent, right in the middle of town, but it proves to be a less-than-ideal learning environment for everyone.